High walls are a particularly noble sight, but it also provides a lot more space to get creative. From extra-long curtains or ornate lamps to lofts and mezzanines, there are endless of fantastic design possibilities that make remarkably high rooms a delight to fix up. With so much additional space at your disposal, it would be a shame not to use high rooms to their full potential. Make use of this striking feature to make the residence even more welcoming. 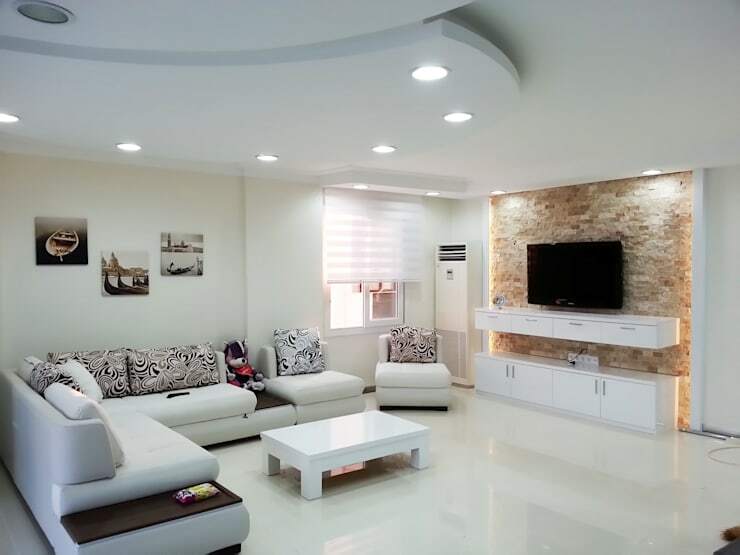 While professional interior designers no doubt have their own suggestion on great ways to design high walls, it’s good to have your own idea on what you want the living space to look. 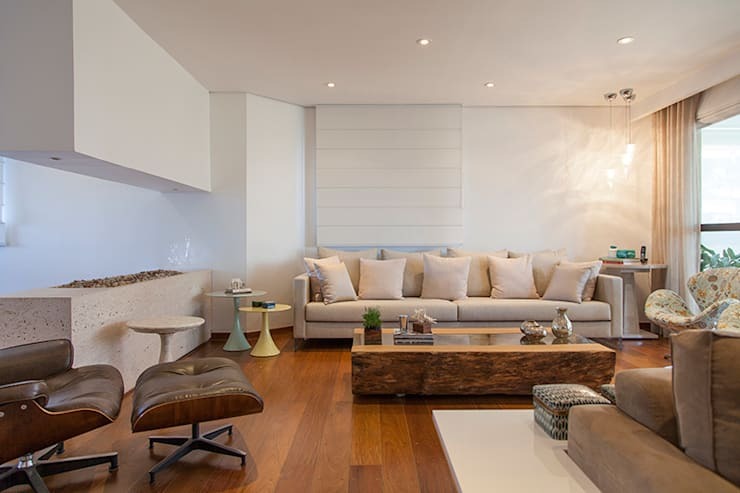 Here are homify’s favorite ways of maximizing high walls in the home. 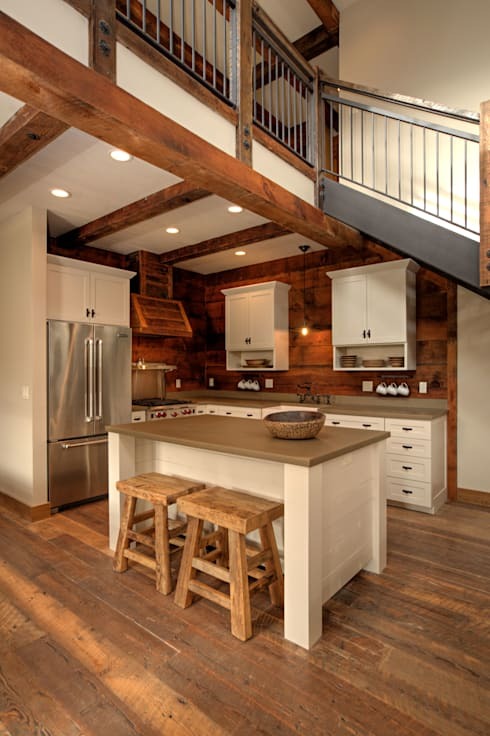 Soaring ceilings and high walls can be high enough to allow for extra storage – a valuable asset to any home. This loft-style storage area offers a particularly large place for a considerable amount of belongings. While quite a bit of time and effort is necessary for the construction of a loft, it’s a beautiful feature that gives extra character to any room. One downside to such a project is it can reduce the headspace of the room below. Before beginning construction, make sure that there’s still ample room to stand and move comfortably underneath even with fittings like light fixtures, shelves or other ornaments. 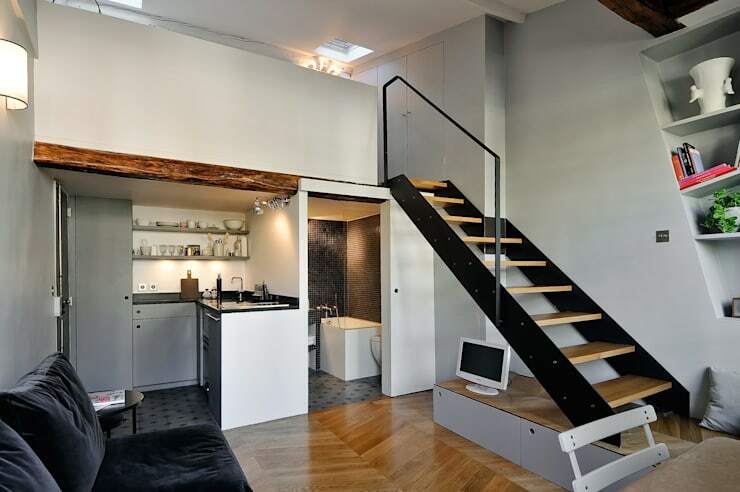 Like lofts, mezzanines add immeasurable elegance to the residence. Providing an open and airy space that looks over the main living area, it’s a great way to decorate and use higher-than-usual rooms. It also offers a new sitting area for residents and guests. For smaller houses, it can even serve as a study, office or small library area. Use materials that complement the rest of the home’s interiors, so the mezzanine doesn’t stand out like a sore thumb. Even the staircase leading up to the mid-level area should blend seamlessly with the décor. Emre Urasoğlu İç Mimarlık Tasarım Ltd.Şti. It’s easy to focus on the massive space of the walls, but high rooms offer a great opportunity to create stunning interiors from top to bottom. Adding texture to the ceilings is a wonderful way to provide an elegant touch to the room and suspended ceilings are always very impressive. Pretty light fixtures and a ceiling installation can be just the thing to create a cozy environment indoors – even with the imposing high walls. Some even opt for murals to fix up the ceiling. Sure, a loft is a good option for extra storage space, but it’s not the only selection. Instead, residents can decorate high walls with floor-to-ceiling shelves, which can both fill the space and still be functional for keeping and displaying memorable items. Even in neutral colors, bookshelves provides a spectacular sight, brightening up otherwise plain rooms. While the shelves should be filled with personal or family mementos, make sure that it’s not too full that it becomes cluttered. Shelves are usually placed up against the wall, but they can also be used as dividers to separate the different sections of an open layout room. Paintings are not unique to high-ceiling rooms, but homeowners do have more room to play with higher walls. Artworks add color, character and life to a room. With the ample space, you can make more than just one painting as the central piece. Framed photographs can also work well, especially with varying sizes of picture frames to keep the collection interesting. The art piece is not the only consideration when designing a high wall, but how the paintings are arranged. Find the most effective positioning of the art to achieve the most striking effect and to maximize the available space. Lighting can also play a big role in the display. Soaring walls are generally a big plus in the home, but there are those who aren’t too fond of the look. In these cases, residents can turn to intelligent design to make the ceilings appear much lower. Suspended ceilings, exposed beams, light fixtures can be added to fill the space above. The rule of thirds is also a good guide with the upper part of the room left mostly empty, the middle section with art and shelves, and the lower part with the furniture. Looking for more tips on designing the walls of your home? 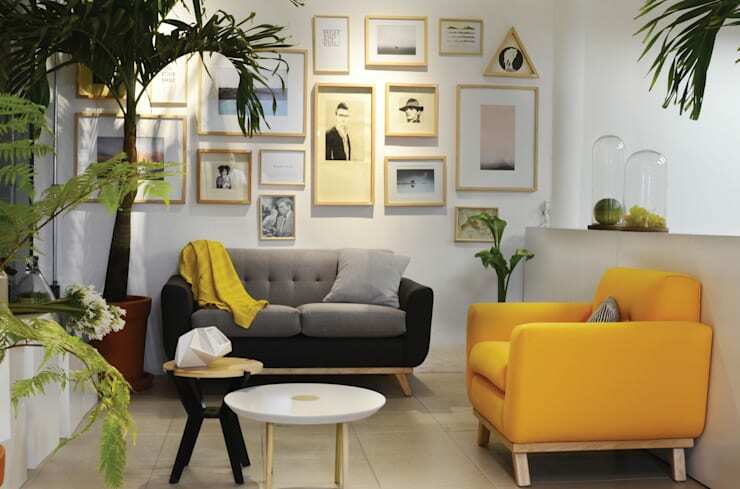 Upgrade your home with these 14 awesome wall décor ideas.